Have you been tempted to try out the ‘falsies’ or false eyelashes, since a while now? Here is all that you need to know before you pick the perfect pair. Human hair lashes blend naturally with the lash line as compared to synthetic ones. Also, it is easier to apply mascara on the human hair texture. 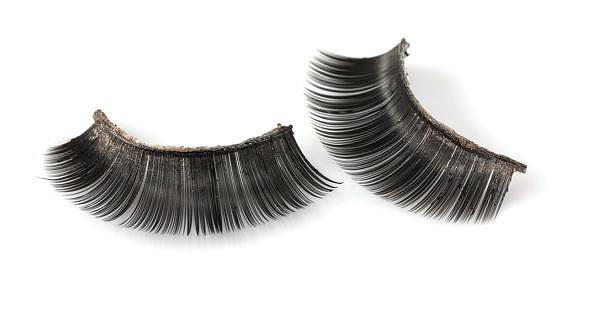 For the perfect pair, be assured that you’ve checked the width of false eyelashes and that they aren’t longer than yours. It’s best to select thinner strips that are easier to place on the lash line and would not be as obvious. Or you could go for the ‘invisible’ strip which would fit in conveniently. False eyelashes would only work well to enhance the shape of your eyes if you’ve selected a shape that flatters your eyes. It’s best to place them on your eyelids during a trial before you buy them. 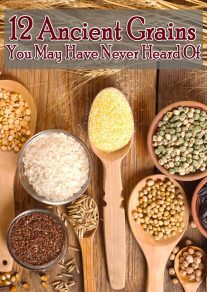 If you are in doubt, the mid-length pair, which is generally round in shape, could be a safe option. The best option is the latex-free glue. In case you have a skin issue or are wary of the glue, it’s best to check the ingredients and then verify with your doctor. These are medium in volume and usually delicate. They are not too dramatic and are preferred for a day look. These are a great option especially if you want to have control on the thickness and width or if you are having difficulty getting the perfect pick for your eye shape. These may take longer to apply as you will have to place them one by one and you would also have to be cautious of the amount of glue you are using. 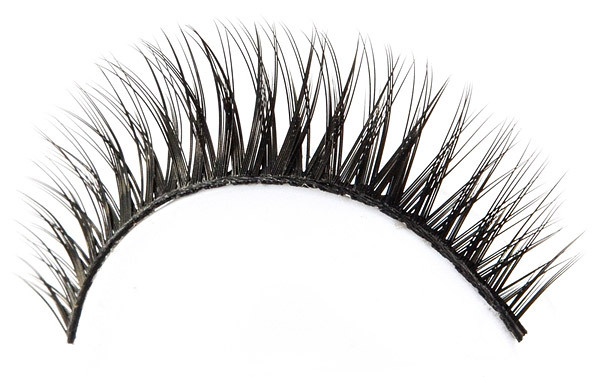 If you are looking for a complete voluminous texture or a dramatic look, then this dense, full length lash style could be your pick. It gives more of a vintage and classic feel. You could curl the tips carefully with a mascara for the ‘heavy eyes’ look. 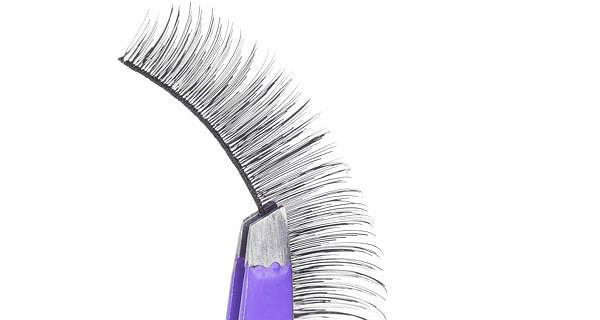 The tip of this type of lash has one short and one long lash, alternatively. These may look more real and definitely give a glamorous boost. These are best suited for occasions or events. The length of the eyelashes may be much longer than your own, which may turn out looking artificial. So carefully trim the eyelashes before you are set to glue them. When using false eyelashes, you could do away with the eye lining bit. However, you should do up your eye shadow properly and set it right, especially in case of a dramatic look like smoky eyes. Once done, move on to sticking the eyelashes. For this, put the glue gently and wait for just 30 seconds before placing them right. 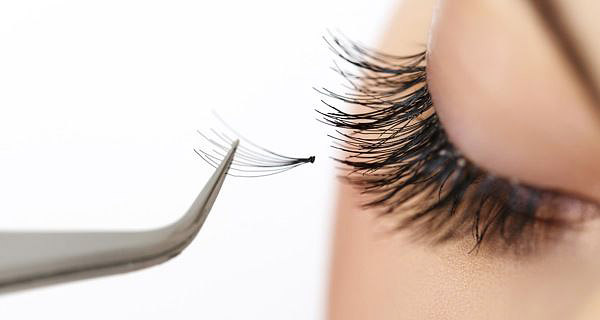 Do not stick the falsies to your lashes but only as close to your lash line. 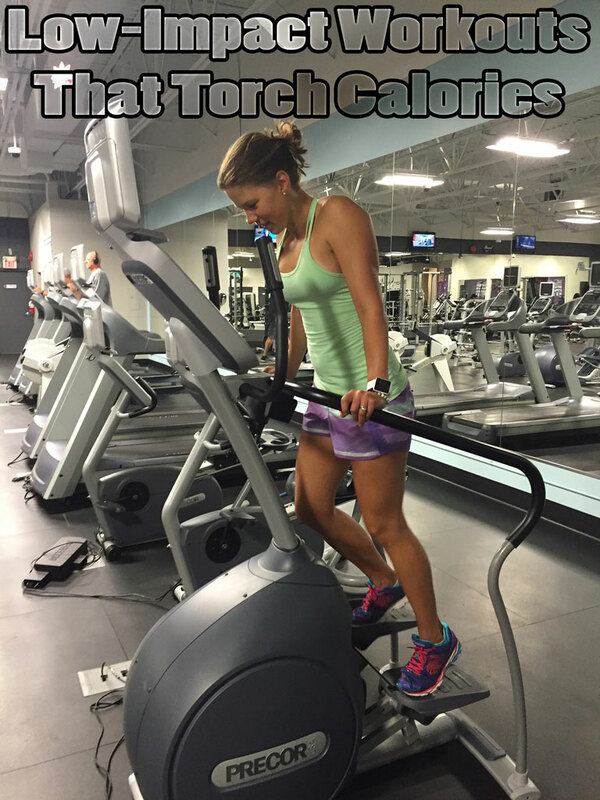 Wait for a minute until you proceed. For perfect blending, you could use a light coat of mascara and eye liner. Gently pull out the lashes from the centre. To get rid of the glue from your eyelid and lash line, use a silicone based make-up remover and wipe off. 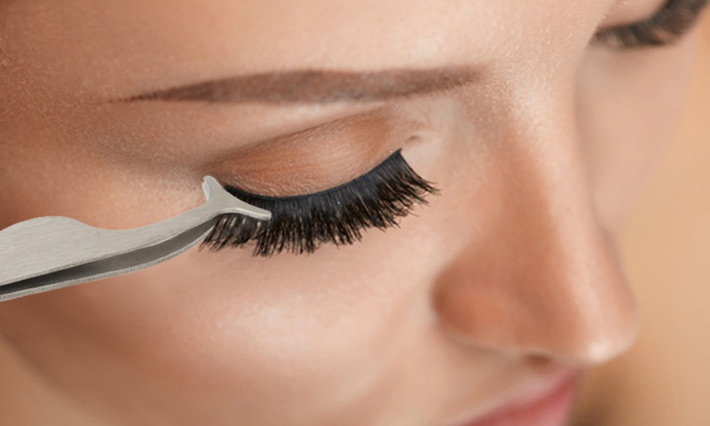 However, avoid wetting the lash strip, try and strip the glue off carefully from the lashes. The lashes could last you through the day and you could use them over and over again. However, the use of mascara may deter the quality for repeated use. For the sake of hygiene, it’s preferable you don’t use the same pair of lashes for more that 4-5 times and restrain from sharing your used lashes with your friends.